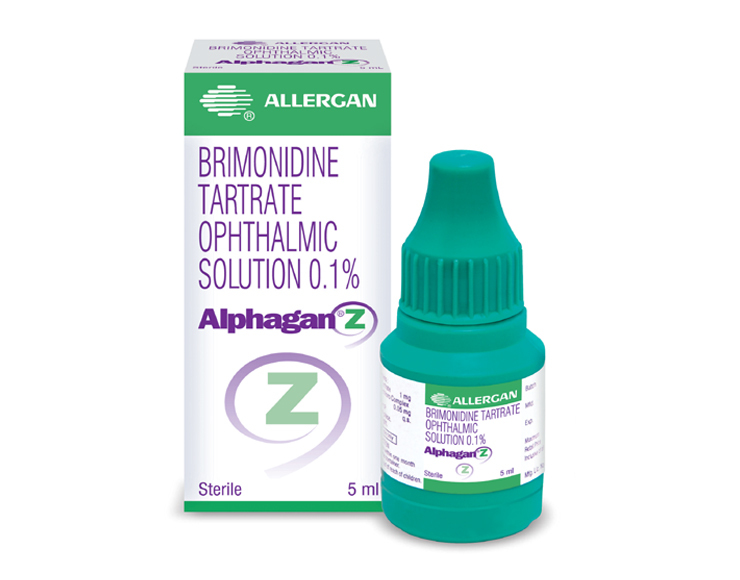 ALPHAGAN® Z (Brimonidine Tartrate Ophthalmic solution) is a relative selective alpha-2 adrenergic receptor agonist for ophthalmic use. The recommended dose is one drop of ALPHAGAN® Z in the affected eye(s) three times daily, approximately 8 hours apart.ALPHAGAN® Z ophthalmic solution may be used concomitantly with other topical ophthalmic drug products to lower intraocular pressure. ALPHAGAN® Z is indicated for the lowering of intraocular pressure in patients with open-angle glaucoma or ocular hypertension. ALPHAGAN® Z is supplied sterile opaque teal plastic dropper bottles.